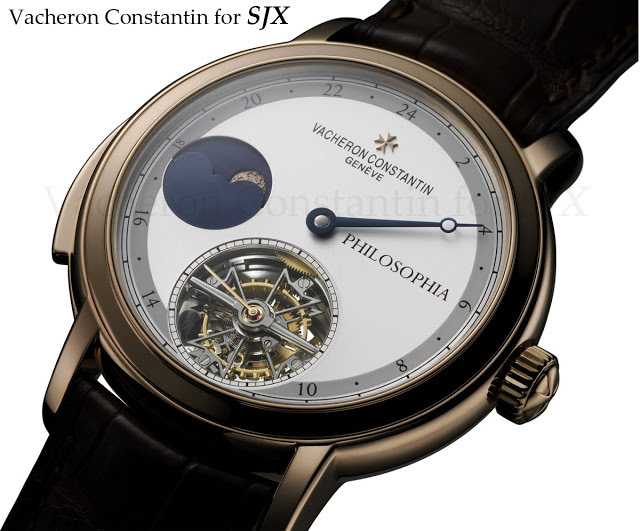 Revealing the details of unusual bespoke timepieces is uncommon, but Vacheron Constantin has recently presented two watches created by its Atelier Cabinotiers, the one-handed Philosophia and the Vladimir grande complication. Headed by Dominique Bernaz, who previously ran the Patek Philippe boutique in Geneva, Atelier Cabinotiers was set up in 2006 to cater to clients with big or bigger budgets seeking a special timepiece, something like the Philosophia. 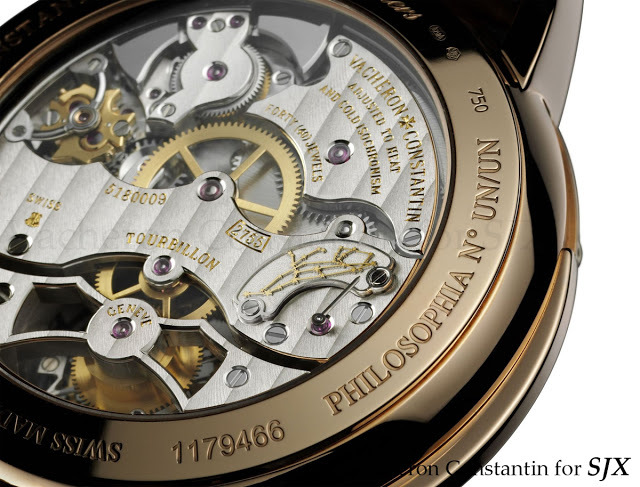 Though it looks traditional, the Philosophia is a fascinating interpretation of time. It only has an hour hand so it tells the approximate time more or less, but the owner has the option of knowing the time to the minute by activating the minute repeater. In fact Alex Ghotbi of The Hour Lounge shared that the owner originally wanted a watch with no hands, only a minute repeater mechanism, but eventually changed his mind. 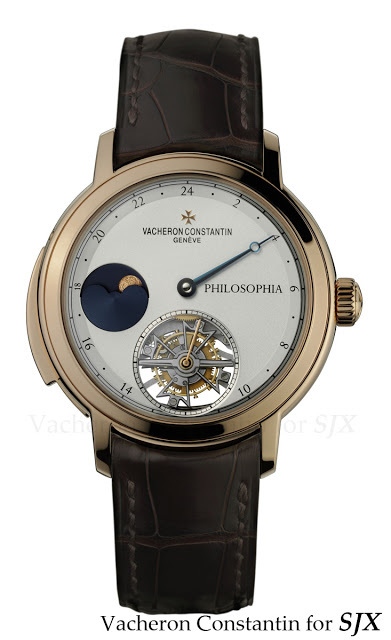 The Philosophia – the name was chosen by the owner – also features a tourbillon as well as a “customised precision moon phase; the moon is shown with its craters, and a single star – the pole star—shines near it.” Because the owner is an astronomy geek, the power reserve indication on the back is stamped with the “intertwined constellations Ursa Major and Ursa Minor”. And at the owner’s request the watch was engraved “No. Un/Un” which means “One/One”. That is Spanish and might give a clue as to the owner’s nationality or at least language. 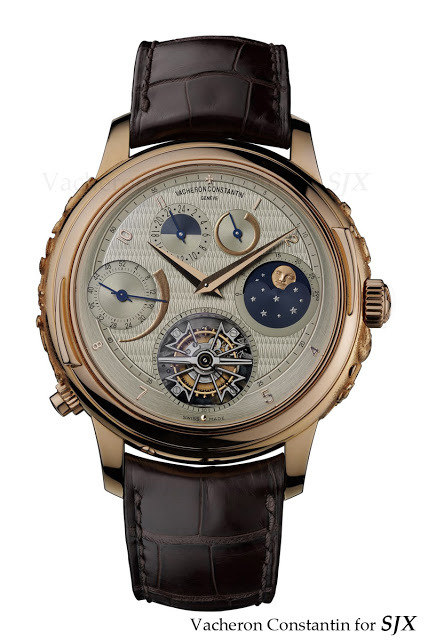 The other watch is perhaps less unusual but nevertheless a technical tour de force. 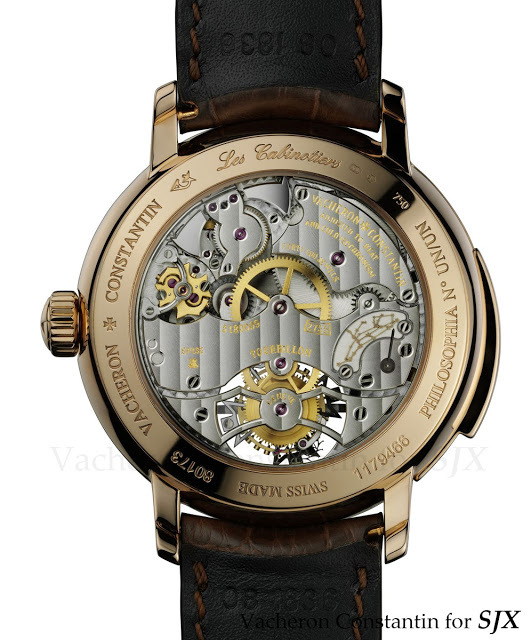 The Vladimir is based on the Tour de l’Ile, launched in 2005 as the most complicated wristwatch in the world. 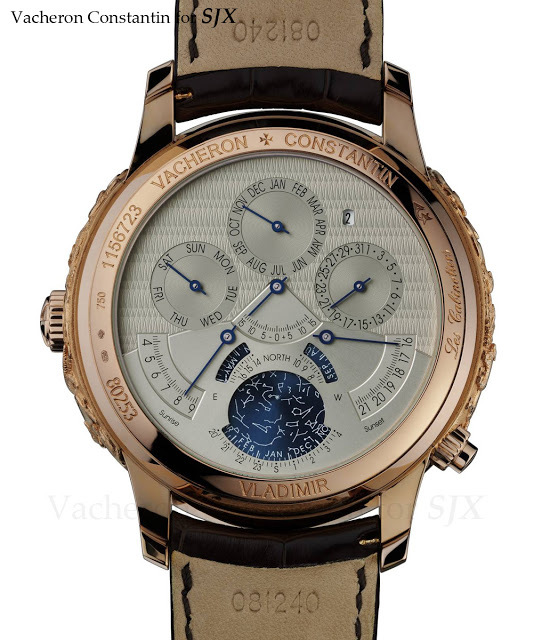 Needless to say the Vladimir is even more complicated with 17 complications (at VC’s count) and 891 components. 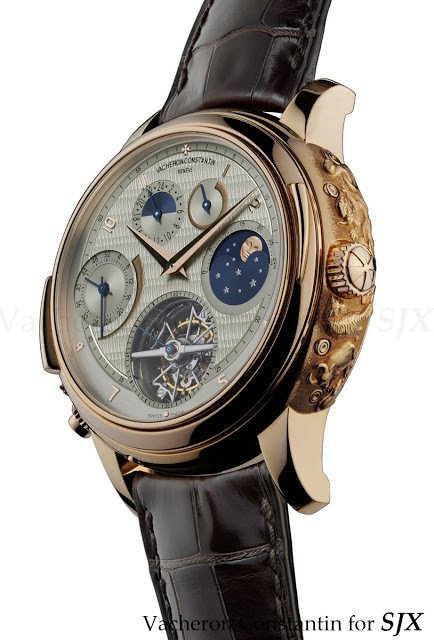 Minute repeater, tourbillon; second time zone; minute repeater torque indicatior; power reserve; perpetual calendar with leap year, 52 week indicator and moon phase; equation of time; time of sunrise and sunset; and star chart of Northern Hemisphere. The 52 indicator at nine o’clock on the dial side is the additional complication the Vladimir has over the Tour de l’Ile which has a mere 16 complications. 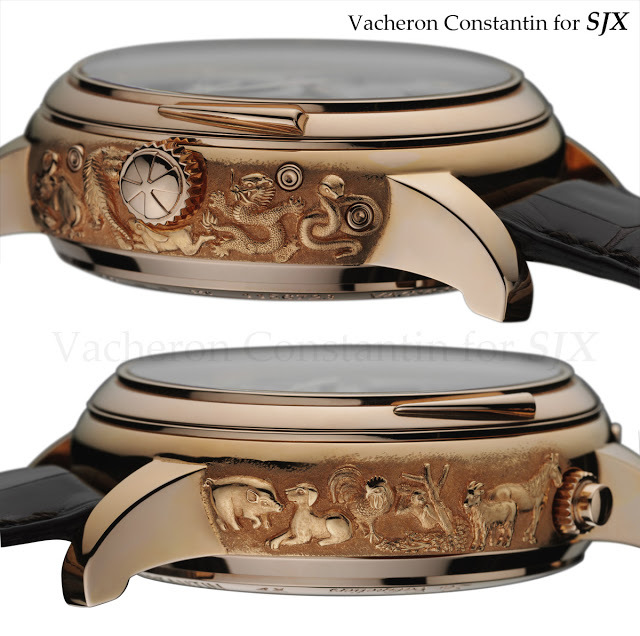 Notably the Vladimir also has relief engraving on the sides of the pink gold case which depict the Chinese Zodiac. According to VC, the task of engraving the case took six months. The case had to be cast with extra-thick sides to allow the engraving to work his magic, before being polished carefully so as not to damage the relief engravings.